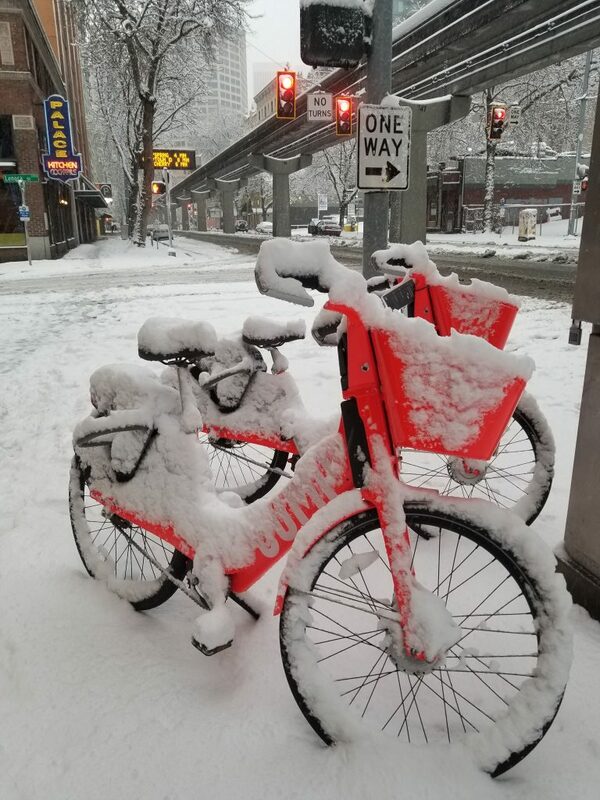 This week I journeyed to snowy Seattle to participate in the IxDA Interaction 19 conference. This was my first time coming to this annual conference though I have spent much of my career around the world of interaction design. 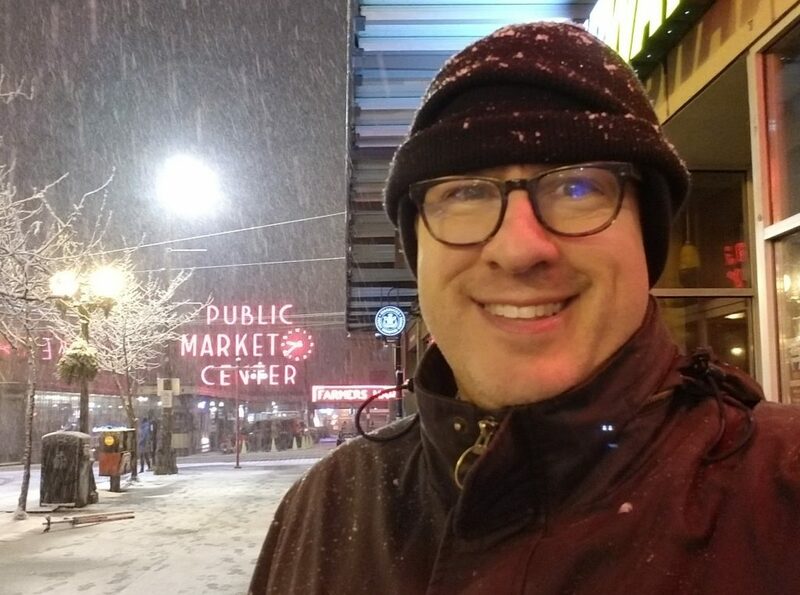 For the first eight years of my career at Microsoft (2007- 2013) I focused on working with media and entertainment companies explaining and demonstrating Microsoft’s interactive media technologies giving myself a fitting moniker of Media Experience Evangelist. For me, user experience and design were always areas where I gravitated towards – so I was excited to be a part of this conference. 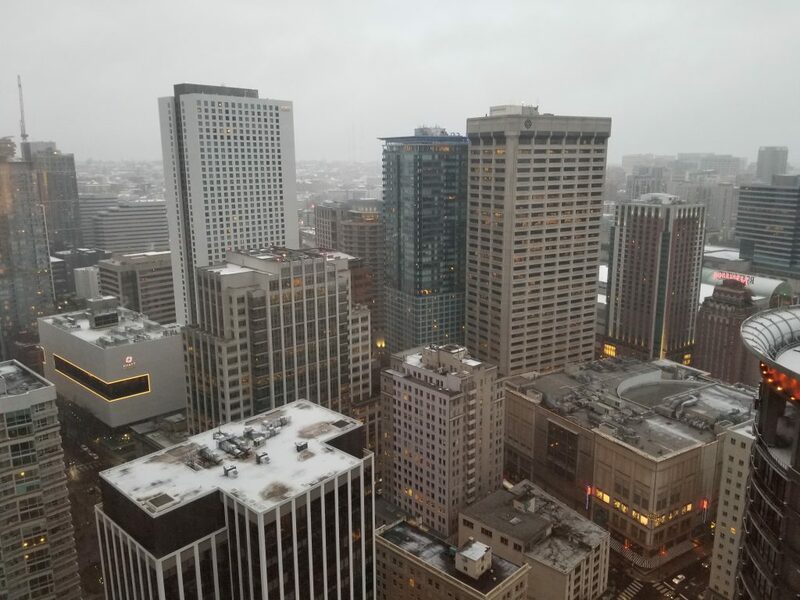 A light snow came the day I arrived in Seattle on Sunday. 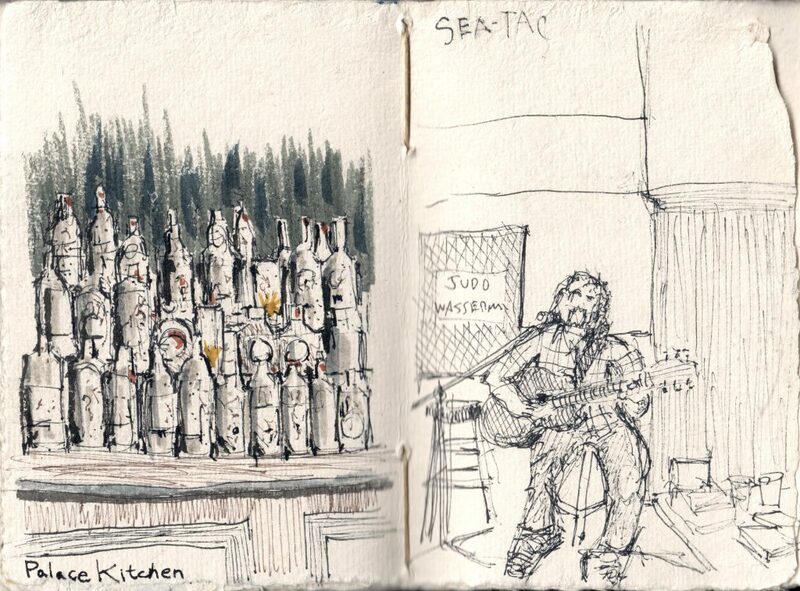 Bringing my journal with me (as I always do) I was able to capture some of Seattle. I was able to catch some great talks about design, accessibility, inclusivity, and ethics, but really one of my favorite aspects of the conference was the people I met from all over the world. Students full of enthusiasm next to recruiters, next to user experience professionals, next to visionaries made an exciting, engaging, conversation. The global reach of the IxDA meant that design perspective from all over were coming together in a beautiful way. The conversations I had with the participants ranged from the tools that people used to the team dynamics that they faced – but there was a definite eagerness from everyone there to learn and grow. Definitely a growth mindset was in the air. 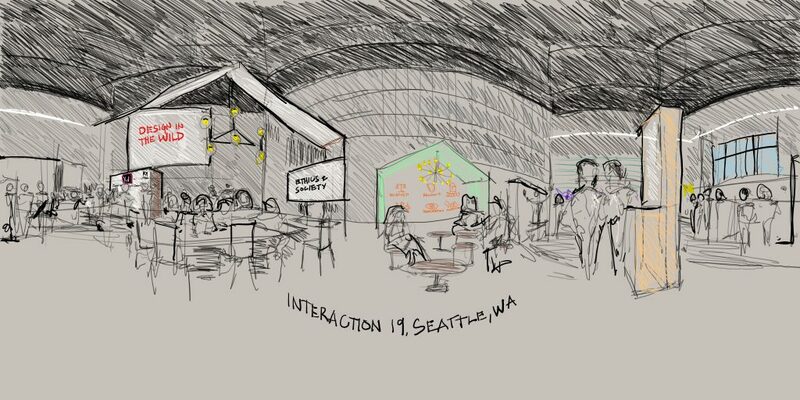 A quick sketch at Starbucks in downtown Seattle before starting my day. The primary reason that I was at the conference was to deliver a talk about the Sketch 360 app that the Garage helped me ship late last year. Mike Pell the chief designer in the Microsoft Garage and VR author saw an earlier version of the tool and encouraged me to publish it as it would fill a hole in the toolset of VR designers. I put a proposal out and my talk on 360 Sketching for VR Design was accepted. 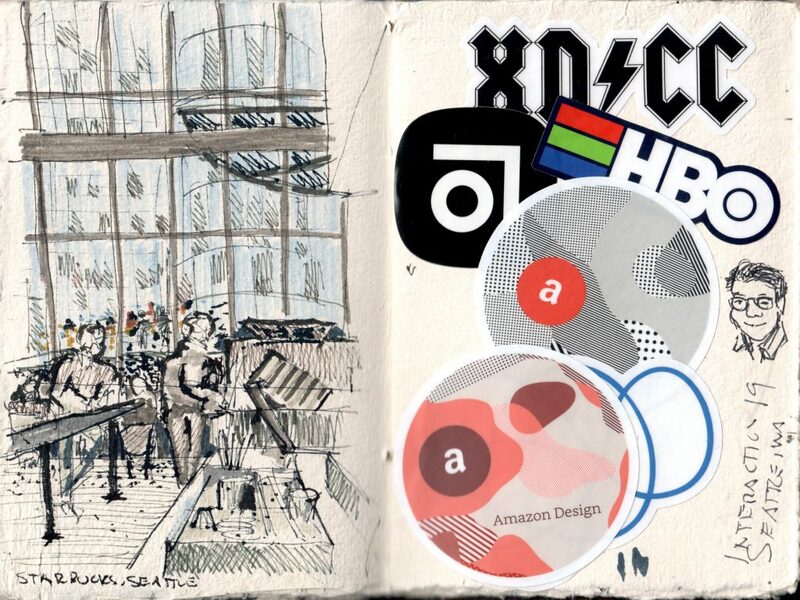 In preparing for the talk, I did a 360 sketch of the conference vendor pavilion where Microsoft, Adobe, Amazon, and other companies had booths. The image is below but it is best in experienced in a 360 viewer like this. 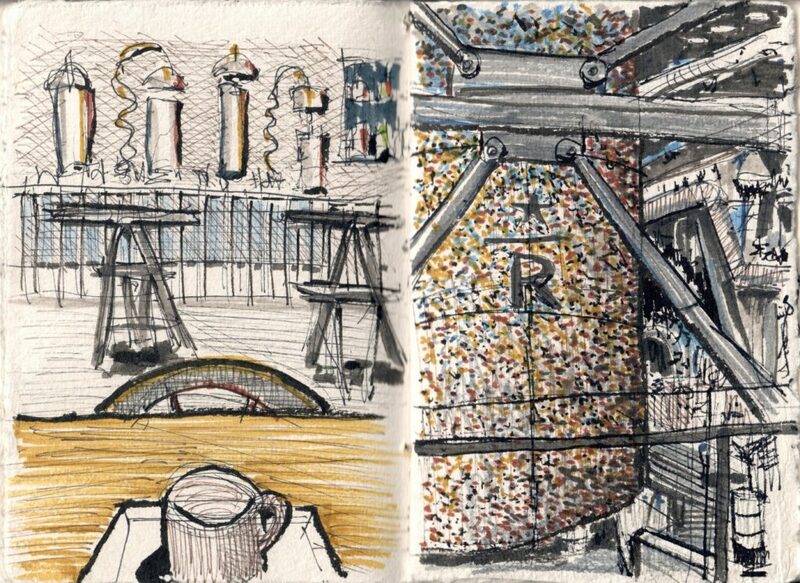 The talk went very well – no technical glitches and I got my point across: Designers have a super power – they can leverage their sketching abilities to design for VR much faster than modelers can. Many people came up to me afterwards saying wanting to try the tool, and affirm to me that Sketch 360 would be a great tool for VR designers. 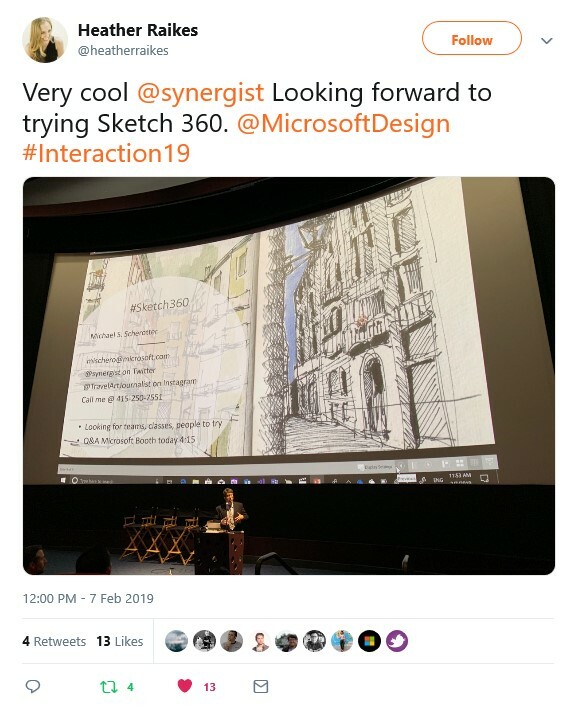 In fact, one of the speakers in a talk right before me talked about how they used Sketch 360 to sketch out designs for a mixed reality experience. I’m looking forward to hearing from many of the contacts I made who were excited about the app. If you are interested in joining me in a free online demo and tutorial on how to create 360 sketches, sign up here by filling out a short form. My favorited talk was actually the last one where Ayse Birsel talked about Designing the Life You Love. Her passion and perspective – and straightforward perspective were beautifully presented. Though there are similarities in the title to Bill Burnett/Dave Evans Designing Your Life (one of my favorites), the perspective is different – and I love both. I ended the trip on a humorous note, going to see Cotton Gin a hilarious improv puppet show at Pike’s Place Market. A good find. 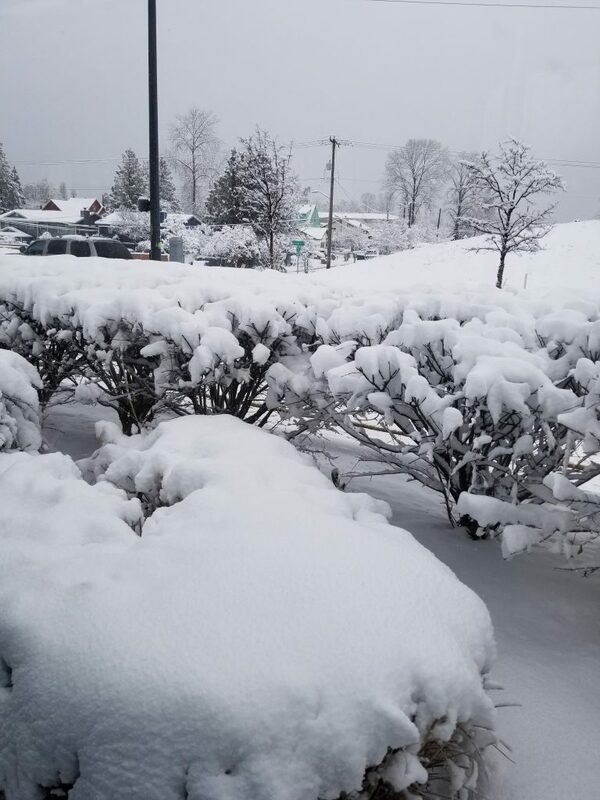 The snow was crazy but in the end – my flight was changed one a few hours later and I got home safely.